Working in wet or dirty environments often exposes you to a range of harmful materials, including chemicals, oils and solvents. 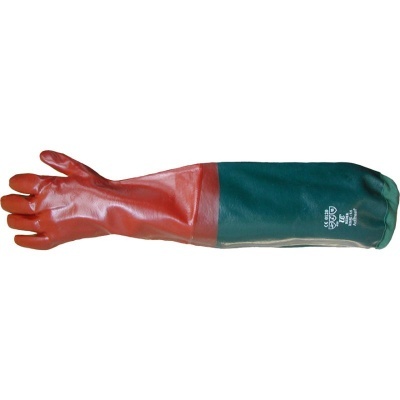 The Heavy-Duty Sleeved Chemical-Resistant 26" R265E Gauntlet Gloves offer protection against these hazards, while their soft cotton liners and 'Sanitised' status make them comfortable to wear over long periods of time. 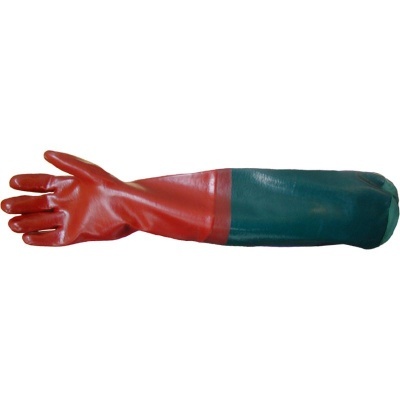 The Chemical-Resistant R265E Gloves are classified with an AQL 0.65, providing them with a performance level three in this area. The Heavy-Duty Sleeved Gauntlet Gloves are available in one size. Please measure the circumference of your hand around the knuckles (excluding your thumb) with your palm open and your fingers together. Next, measure the length of your hand from the tip of your middle finger to your wrist and refer to the table below.